The other day was the completion of the school year ceremony (修了式) for 1st year students (1年生) at LIFE Jr. College (専門学校ライフジュニアカレッジ). 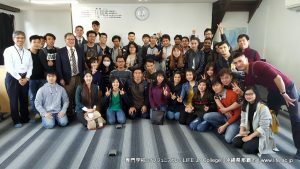 This is one of the many annual events (年間行事) at LIFE Jr. College. The 1st years students studied very hard. They can now enjoy more free time. Enjoy the Spring Vacation. 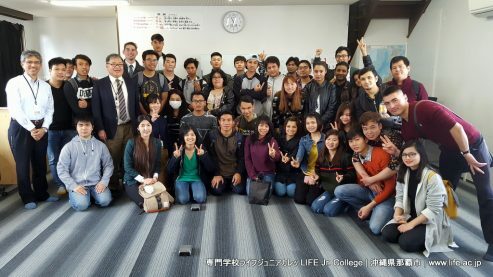 The 2018-2019 academic year will begin on Tuesday, April 3rd, which is when LIFE Jr. College will have its Enrollment Ceremony (入学式). Over 80 new students will begin studying at LIFE Jr. College. We look forward to greeting them. New enrollment applications are still being accepted for the next academic year. The deadline to apply is on Friday, March 30, 2018. Begin a better life at LIFE Jr. College!